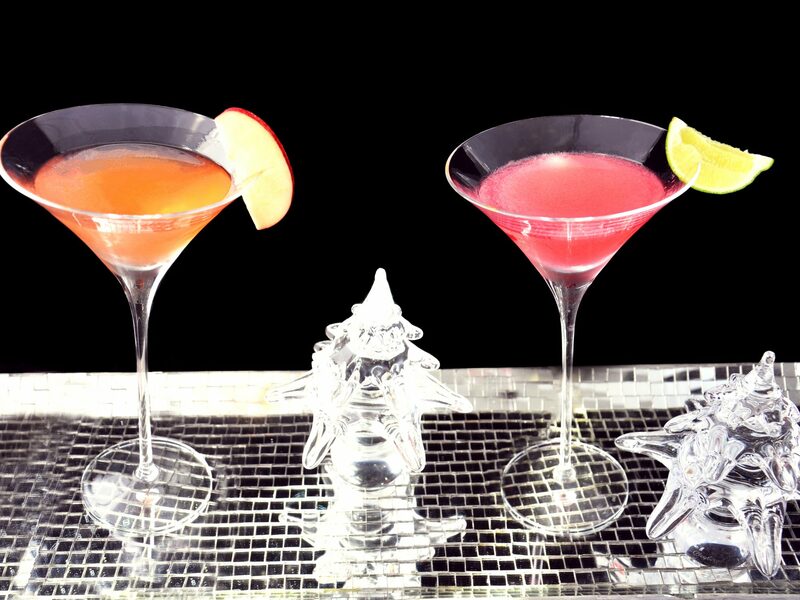 The Admirable Crichton’s top pick of cocktails and mocktails for the Christmas season. Pour the red wine into a saucepan. Add the blackberries, cloves, star anise, 2 cinnamon sticks and juniper berries simmer on a medium heat for 10 minutes until warm. Add the brown sugar and orange slices. Simmer on a low heat until ready to serve garnish with blackberries, apple slices and a cinnamon stick. Combine all ingredients in a saucepan. Cook for 10 minutes until warm. Remove from heat and discard cloves and cinnamon sticks. Put all the ingredients apart from the fizz in a cocktail shaker, shake over cubed ice, then strain into a champagne flute. Top with fizz, garnish with a lemon twist and serve. Freeze the mint and lime zest with cold water in an ice cube tray. In a large jug, mix the lime juice with the apple juice, sparkling water and elderflower cordial. Serve in tall glasses with the ice cubes. Decorate with fresh mint. Combine crushed ice, vodka and pomegranate juice in a shaker. Squeeze lime juice into mixture. Shake and set aside. Using the same lime wedge, run it around the rim of a martini glass. Dip glass rim into sugar. Strain liquid into glass and top with soda water or sparkling wine. Garnish with a slice of lime. Place the lime wedges into the bottom of the glass. Add a few mint leaves (use the remaining sprigs to garnish) and the sugar. Muddle together with a cocktail muddler. Add crushed ice to each glass, pour over the orange juice, stir to ensure the sugar dissolves. Top with a dash of sparkling water and garnish with mint. Running out of time? We can of course always bring the bar to you!